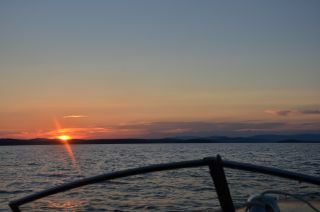 101 Neal Shore Road Offers a Location Between Winnipesaukee and 19 Acres of Conservation Land. Meredith NH - Views! Views! Views! Enjoy panoramic views up and down Meredith Bay and towards the broads! 127 feet of prime, crystal clear waterfront! The professionally landscaped lot has trees on either side of the property for privacy and shade. The lakeside lawn is lovely! Especially wonderful, is the manicured sandy beach with exceptional privacy nestled below a line of trees. You'll have ample recreating area on your lakeside lawn and sandy beach to enjoy sunshine and the lake and mountain views. 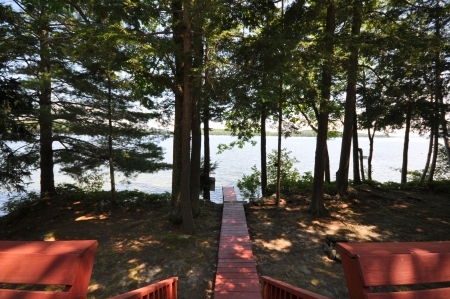 The 30 foot dock & 2 large decks are also great places to enjoy the outdoors and take in the beautiful views. 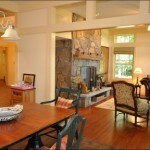 Similarly meticulous, is the interior of this home within walking distance of Meredith NH amenities. With 2266 square feet, 3 bedrooms and a loft, and an open concept kitchen/dining/living area, you'll be able to enjoy the views in all the rooms of the home. Located just South of Route 104 and Route 93, this property is easily accessed from Route 93 without having to go through Meredith. Located between 19 acres of conservation land and Lake Winnipesaukee, the setting is picturesque. For those who want to enjoy Meredith Pond hockey, skiing at Gunstock Mountain, snowmobiling, and quick access to Winnipesaukee amenities by boat, or car, this 101 Neal Shore Road location is fabulous! Feel free to brows other Meredith NH Winnipesaukee listings or contact me to set up an appointment to tour 101 Neal Shore Road. New Winnipesaukee Waterfront. So Irresistible You'll Think Someone's Cast a Spell on You. Pink and orange sunsets are the cape this property is wearing for Fall festivities! Just in time for the Pre-Halloween Season, this property will bewitch you! 204 feet of Winnipesaukee waterfront. Lightly lived in, Like-new construction. Many cozy spots in this home full of warmth. Within 1/2 to 1 hour to ski resorts. Walk to Meredith Shops, Gyms, Spas, Restaurants, Yoga, Library. 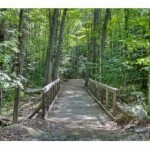 5 minutes to hiking trails, tennis courts. 10 minutes-30 minutes to several golf courses. A new shoreland permit for a carriage house designed by Dan Batting is included. New (2015) lighting in the home. New trees planted along boundary lines (2015) secure privacy. A list of additional improvements in 2014-2015 AVAILABLE. View the Planomatic Tour, Photogallery, and Floor Plans. 64 Wagon Wheel Trail, Meredith offers privacy and westerly exposure within walking distance to Meredith amenities. Stunning is the manicured setting for this Adirondack flavor home with a high level of fit and finish. Enjoy views that are always gorgeous! Day to dusk to evening you'll enjoy the shifting panorama. Sun drenched lake views of sparkling lake water shift to sunset views. At the end of the day enjoy the views of the twinkling lights in Meredith Village across the bay. This is one of the best locations on the lake! The nearly new construction and natural woodwork has warmth in all its details. Built by Jason Drouin Custom Homes, a sought-after custom home builder known for attention to detail and extensive woodwork, the Master Suite and kitchen on the entry level have particularly exquisite detail. Interior features include vaulted ceilings, 3 stone fireplaces, and continuous glass lakeside that brings the views and sunshine close to home. 4-Season porch, patios, lush gardens, perched sandy beach, Covered U-shaped dock with boat slip and ice breaker, and extensive decking have all been meticulously maintained. Significant improvements have been made by the current owners to brighten this stellar offering. A new shoreland permit for a carriage house designed by Dan Batting is included. 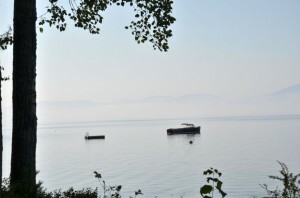 TO SEARCH for additional waterfront or residential Lakes Region real estate listings Search MLS. 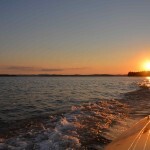 Search other Meredith Winnipesaukee real estate. or research sold real estate listings on Winnipesaukee and its environs. Just Listed! Perfect for Entertaining. Casual, Yet Elegant and Wrapped by 237 Feet of Winnipesaukee Waterfront. 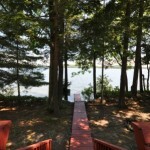 Meredith NH - Located right next to iconic Hornets Nest Point, this waterfront jewel sparkles. 5.11 acres offers of indulgent privacy. Guest quarters with deck perched atop the 3 car garage have lovely lake views. Enjoy lavish gardens, including water gardens and many perennials around the ponds and walkways. Wow! 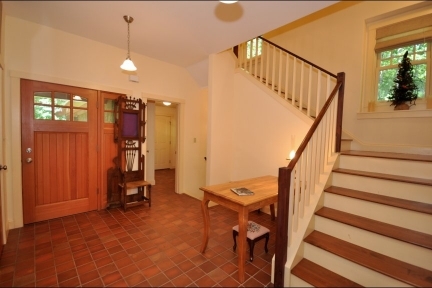 This property will take your breath away even before you enter the charming main home. Designed with an artist's eye and executed by master craftsmen, this home 76 Veasey Shore Road, Meredith at will keep your senses enthralled. 1st flr. luxury Master Suite & 3 ensuite bedrooms w/ tile baths on the upper level. Coffered ceilings, 8 ft. french doors, and 22 large windows make the first floor sunny, casual, & elegant. Wainscoting throughout the 1st floor includes wainscoting in the large Chef's kitchen. Second floor family room is wrapped by views of 237 feet of curving waterfront, completing the sense of being transported to a truly singular waterfront experience! The large lot with 237 feet of waterfront offers Winnipesaukee privacy, yet the location is just a few minutes from Meredith and Center Harbor NH amenities. Ideal for year round living. View the listing sheet for 76 Veasey Shore Road, Meredith NH. Contact listing agent, Nicole Watkins for more details or to arrange a private tour. (603) 707-7575. If this home is not in your price range, feel free to search MLS or Meredith NH homes from $250,000 to $1,2000,000. Meredith, NH - As far as the "live-in" boathouse at 128 Veasey Shore Road, Meredith, it isn't hard to see why this location was selected to build the boathouse in 1929. 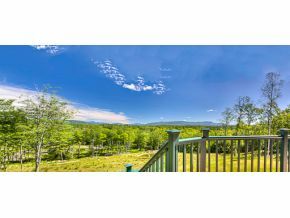 One reason readily apparent to the eye, is the panoramic view from this Meredith NH location. From the house, views of the lake, stretching to Mount Chocorua are to the left, with Big Beaver Island lying low in the lake in front of you. Off the the right, the long lake views to Wolfeboro are magnificent. The sugar white sand of the beach stretches under the crystal clear waterfront to the left of the boathouse, and extends nearly as far as out as the 110 foot long permanent dock and island-like patio. The island-like patio allows you to enjoy all day sun with water and lake views surrounding you....truly island-like! The 1929, meticulously refurbished boathouse is one of only a few boathouses on Winnipesaukee with living space; it has a vaulted great room, 2 bedrooms, porch, kitchenette, dining room. Even 2 enormous fireplaces! To the left of the boathouse is a large bank and slate walk-way leading to a running brook. This are would be perfect to easily convert to an additional sand beach. Privacy is afforded in this spot because of the protection of the boathouse. High Quality Home by Premier Builder is a Terrific Value at this Price Point. Why Veasey? Rare Shoreline of Veasey Offers Quiet Waters and Expansive Views. 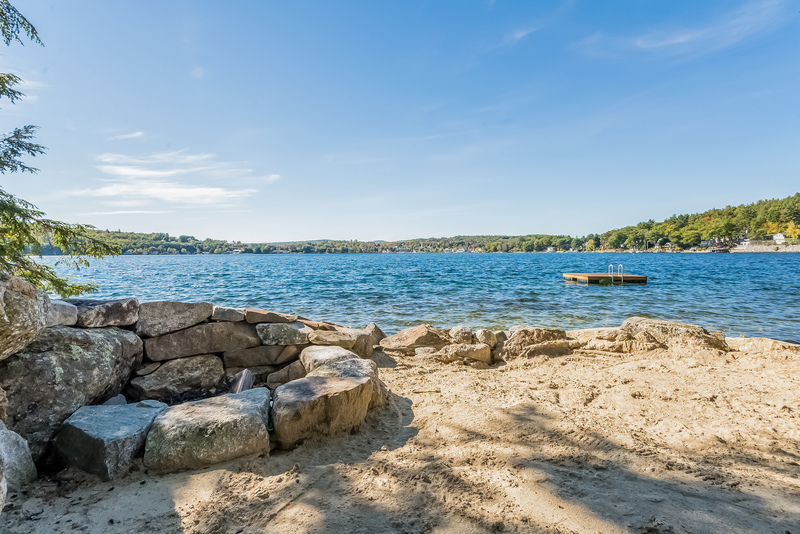 Veasey Shore Road has long been sought after by those who seek quiet, tranquil water and 5-15 minute access to most Meredith and Center Harbor amenities. The lake experience is fabulous ,with little boat traffic and no heavy West winds. Why Build, when you can Find a Home at this Value? The 2003 built Cargill Blake home behind the boathouse is sited perfectly to capture the views on the quiet, but expansive waters, which make Veasey Shore unique on Winnipesaukee. A Landscape Like No Other. Many remarkable gardens, a gazebo, stone walkways, a white sugar sand beach, waterfall and koi pond. There is space for a tennis court on this 2.1 care lot. 7 bedrooms / 7.5 baths. Storage space above garage could be in-law apartment. With an Adirondack exterior and a traditional interior, this home should satisfy the most discriminating buyer. Located in a neighborhood of luxury homes, Veasey is also uniquely located to be near the Page Pond Conservation trails, Center Harbor Woods, and the Chamberlain Memorial Forest. Contact me with questions about 128 Veasey Shore Road. Click here for listing details. Not in your price range? There are also many beautiful Meredith properties in all price ranges. Meredith NH real estate $200,000 - $500,000. Meredith NH homes for sale $350,000 - $500,000. Meredith NH homes and land for sale $500,000 - $1,000,000. All Meredith NH Winnipesaukee real estate. As of March 24, 2013, What are the Sold, Pending and Contingent Sales on Winnipesaukee Telling Us? Whether you are navigating Winnipeaukee or the Winnipesaukee real estate market, knowledge is key to your journey. 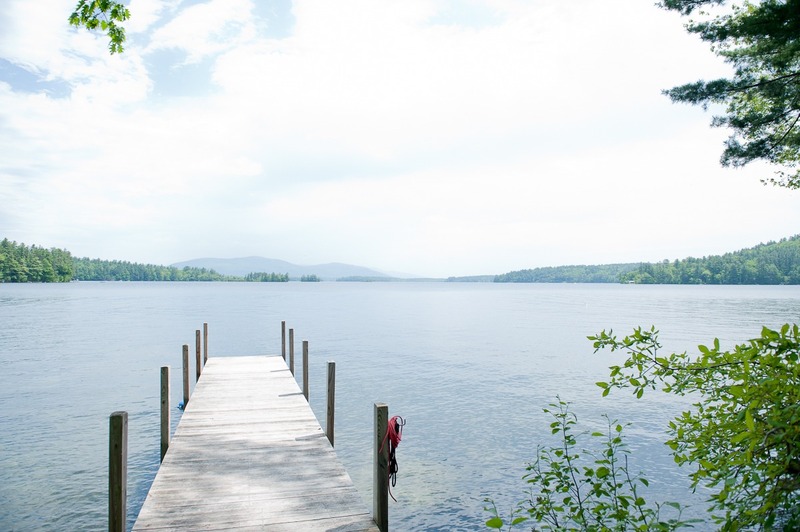 The Number of Closed Winnipesaukee Transactions is Down, but the Average Selling Price is Up. The Long Island, Moultonborough area has recently had 2 Winnipesaukee waterfront closed or pending sales of homes assessed over $1,100,000. Contact me for details on these sales. 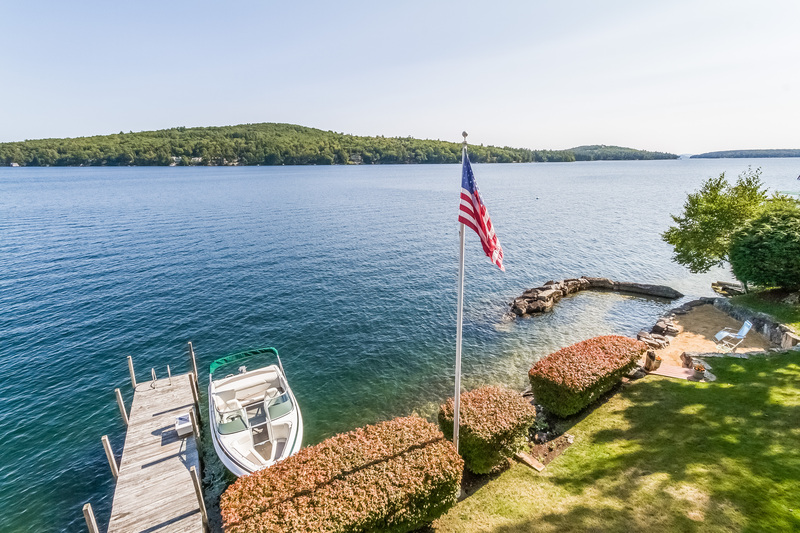 9 Winnipesaukee homes with owned waterfront have sold so far this year compared to twenty Winnipesaukee homes with owned waterfront having been sold in this same time period last year. In other words, there were 9 NH waterfront Winnipesaukee residential sales in the time period January 1, 2013 - March 24, 2013 versus 20 NH waterfront Winnipesaukee residential sales in the time period January 1, 2012 - March 24, 2012 . While the number of sales is less than half, the average selling price of NH waterfront homes on Winnipesaukee has gone up significantly this year. The average selling price is $914,278 as of March 24, 2013 as compared to only $800,525 on March 24, 2012. The median selling price for these NH waterfront homes on Winnipesaukee as of March 24, 2013 is $678,500 as compared to a slightly lower median selling price for NH Winnipesaukee waterfront homes of $640,000 as of March 24, 2012. 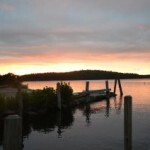 More Winnipesaukee Homes Listed at $1,000,000 or More are Under Contract in 2013. Front Hallway at 20 Senter Cove, Tuftonboro. 20 Senter Cove, Tuftonboro, NH as seen on HG- TV's House Hunters. 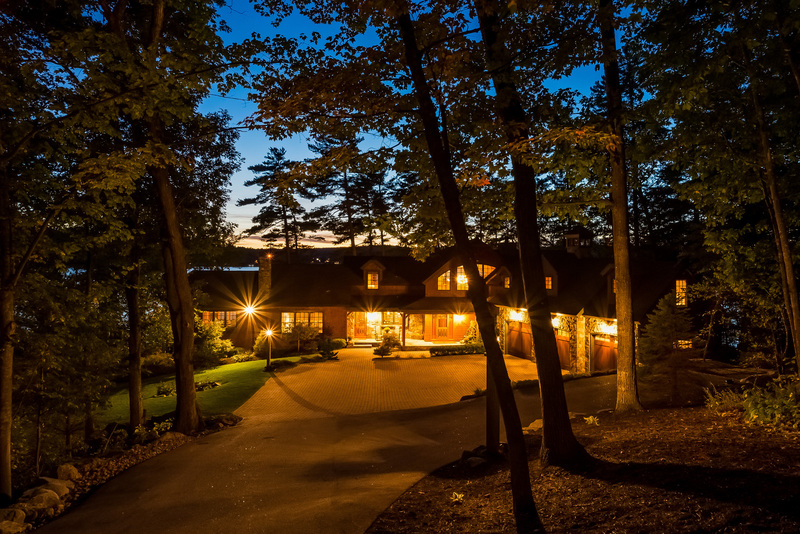 20 Senter Cove Road, Tuftonboro is one of the currently available Winnipesaukee homes priced from $1,000,000 to $1,799,999. One of the most notable changes in the dynamics of the Lake Winnipesaukee real estate market this year is the shift in the price point of many of the contingent and pending Winnipesaukee sales. The shift is so dramatic that March 2013 compared to March 2012 may be a very good indicator for the rest of the year on Winnipesaukee. It certainly appears at the moment that the average selling price on Winnipesaukee by the end of 2013 will be considerably higher than in 2012. 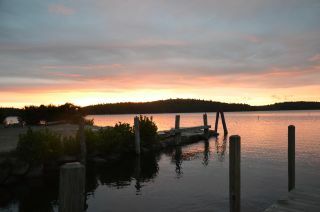 As of March 24th of 2012, only 1 Winnipesaukee home with owned waterfront sold for between $1,000,000 and $1,799,999 so far that year. By the end of August 2012, only4 Winnipesaukee homes with owned waterfront had sold in this $1,000,000 - $1,799,999 price range. 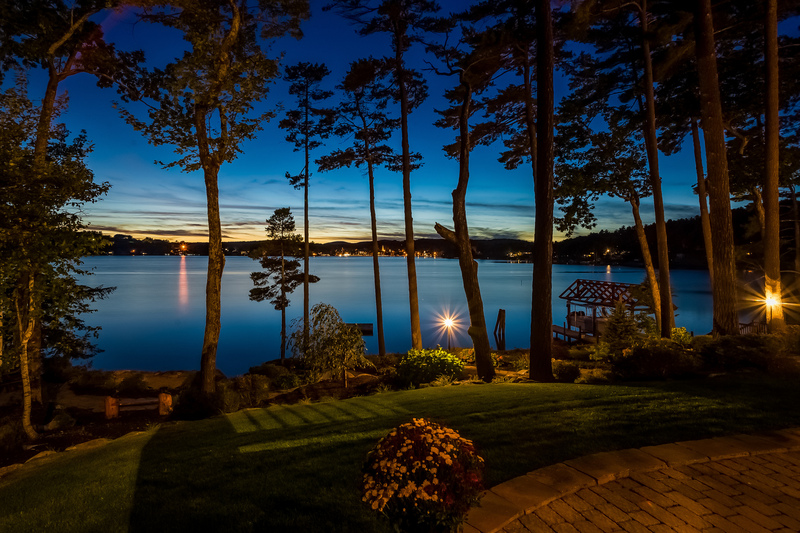 As of March 24, 2013, by comparison, there are 6 Winnipesaukee waterfront homes with owned waterfront under contract with buyers in the $1,000,000 - $1,799,999 price range. Even if no other Winnipesaukee homes in this price range goes under contract between now and August 2013, by the end of August 2013, we will be well ahead of the number of sales in this price range as compared to 2012. Breakdown of the 9 Winnipesaukee Homes Sold so Far in 2013, Assessed Versus Selling Prices. As of April 2013 Moultonborough Assessors are starting the town's revaluation to make sure the appraisals used by the town reflect current market value. Moultonborough Assessors are now in the Long Island area of Moultonborough. The 4 least expensive homes that have sold so far in 2012, all of which were priced under $1,000,000, had town assessed values that were higher than the listing prices in MLS. 3 of these lowest selling homes also had less than 100 feet of Winnipesaukee waterfront. The 4 higher priced home sales, had town assessments that were lower than the listing prices. 3 of these higher priced home sales also had in common that they had at least 135 feet of waterfront, except for 134 Black Point in Alton, which, though it had only 90 feet of waterfront, did have a nearly 5000 square foot, 2010 built home and a large 1.3 acre lot. (Please fee free to contact me for a list of these properties and their assessed values and selling prices). 134 Black Point Road, Alton, the 4th of these higher priced homes, and the only home that closed above $1,000,000 and below $2,000,000, sold for approximatley $120,000 above the assessed value. What seems to be happening on Winnipesaukee? Can we use few sales to try to predict a trend? Of course trends based on a few sales can be reverse within weeks. 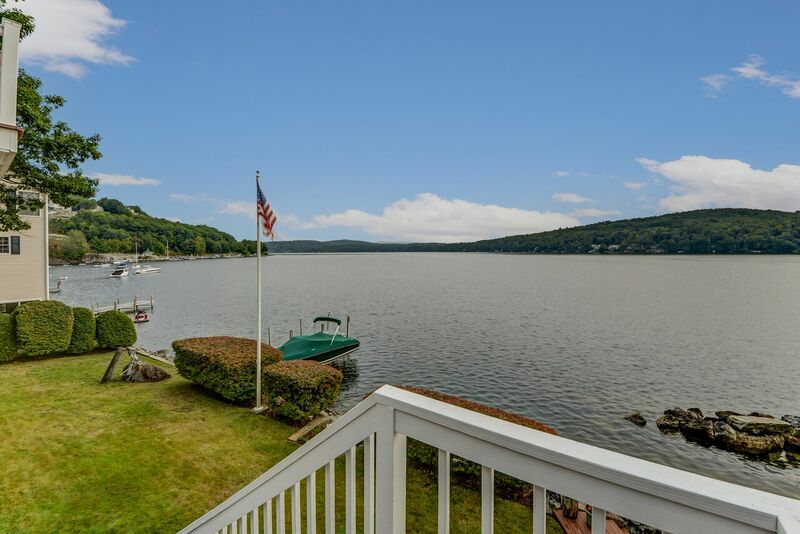 However, it may be that there is a trend for properties with less than 100 feet of waterfront and with town assessments under $1,000,000 that is opposite of the trend for newer Winnipesaukee homes with 100 or more feet of waterfront. Properties in the latter category may be holding their value or going up slightly in value. It is ealy in the year, but we can certainly track this to see if this trend continues. The 9th Winnipesaukee home that sold this year, 34 Boathouse Road, sold at $2,350,000, but as the town assessment does not yet reflect the value of the finished home, we can't yet compare the assessed value to the selling price or listing price of this home. Please email me or call me with any questions on these sales or to request other Lakes Region real estate market information. You can also use my website to view all current Winnipesaukee real estate, search by lake or town, or search MLS. Summer Solstice is less than 3 months away. The end of summer 2013 is only 5 months away. Call now to start your search for Winnipesaukee real estate. 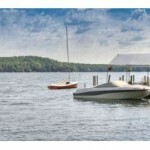 Winnipesaukee Real Estate Market Conditions - 2012 versus 2013. A Robert Frost Setting on Winnipesaukee. Are you looking for a New Hampshire estate property with more than 10 acres directly on Lake Winnipesaukee? If you've been looking for Winnipesaukee real estate with a subtantial parcel of land, you already know that it is hard to find 10 acres directly on Winnipesaukee, much less one with a captivating Robert Frost charm, such as 290 Meredith Neck Road. Unique Properties Offer Excitement. Potential Abounds at 290 Meredith Neck. 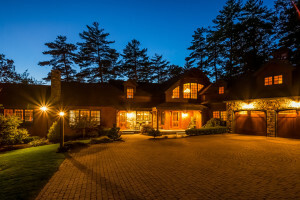 As a Winnipesaukee real estate agent it is partciularly fun to show and find a buyer who is a perfect match for unique properties such as 290 Meredith Neck Road. This new construction home has an Adirondack flavor exterior. The interior is contemporary andbright, beautifully designed and built by two time New Hampshire Cornerstone Award Winner, H.J. Stabile and Company. (The Cornerstone Awards are awarded by NH Home Builders and Remodeler's Association). 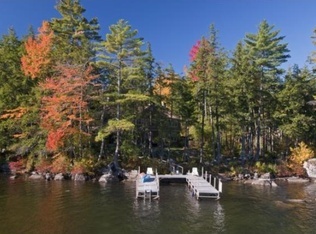 This unique New Hampshire lakefront estate has a sandy bSach at water's edge with granite steps into the water, with an exquisite cabin to be built at the water's edge, 165 ft. of Lake Winnipesaukee waterfront plus a dock in Meredith, New Hampshire's beautiful Kelly Cove - perfect for swimmers. 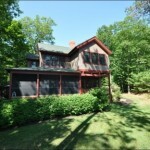 The main house has breathtaking mountain views, and pasture bordered by stonewalls and 13 plus acres on Winnipesaukee. Pasture and trails for recreation are great features of 290 Meredith Neck Road, Meredith, New Hampshire, a Winnipesaukee waterfront new construction home. The 13 plus acres of your own land include lots of places for children and adults to play when not near the lake. 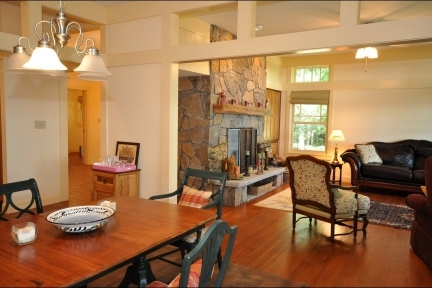 This Meredith, NH estate property is an ideal property for a large family to feel safe, recreate and to relax! Hike, snow shoe, cross country-ski on your own property. The property's 13 acres includes a wooded, bridged path to 165 feet of your own Lake Winnipesaukee water frontage, a cabin, perched beach, and a dock. Privacy Surrounds the Home. Convenient Access to Meredith NH Amenities. This rare Winnipesaukee waterfront property will appeal to those who want privacy near their home, and mountain and pastoral views in the New Hampshire Lakes Region. Those seeking a family compound may also find this estate property ideal. The finely appointed 5 bedroom, New Construction home has a superior Energy Star rating and is located just 5-10 minutes from downtown Meredith NH shops, restaurants, and all Meredith amenities. Since it's also located within an hour to several ski resorts, and the White Mountains, this is an ideal vacation home or year round home. 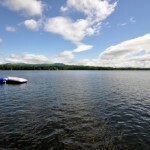 This property is an outstanding example of all the best that New Hampshire's Lakes Region offers. 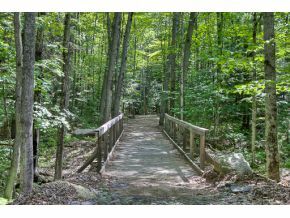 The wooded, Squam-like charm will also appeal to those Buyers considering either Squam Lake or Lake Winnipesaukee. Contact me to set up a showing or to ask a question. This property is listed by NH real estate agent, Bob Williams of Coldwell Banker, Center Harbor. This 290 Meredith Neck Video is available only at NicoleWatkins.com. Contact me with questions on this property, to request floor plans, or to set up a showing. Also ask me about pre-construction Winnipesaukee listings by other Winnipesaukee builders. View all just listed Winnipesaukee or Meredith NH real estate on my website. 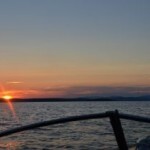 View all just listed Winnipesaukee real estate (30 days), all Meredith NH real estate, whether residential of waterfront, or create your own NH MLS search to find your dream property. As people search for Winnipsaukee or Squam Lake real estate, they often ask about the town assessements for the Winnipesaukee or Squam listings that pique their interest. 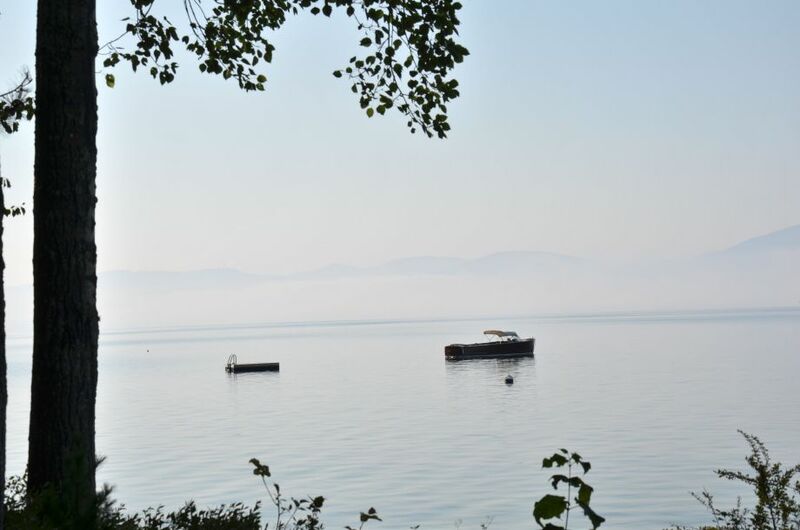 In purchasing a commodity that has a many intangible qualities as Winnipesaukee or Squam Lake waterfront real estate, potential buyers look for whatever they can find to help guide them to what they perceive as a reasonable offering price for a waterfront property. Certainly, buyers know very quickly whether or not a waterfront property seems to be a fit for them, but how to quantify the value of the fit is a dilemma. View from Dock at a Squam Lake Home. 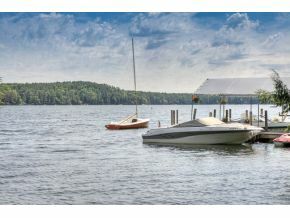 This is One of Only 3 Squam Lake Homes Offered at $1,500,000 or More in Holderness, NH as of July 21, 2012. In towns where, year to year, there are fewer sales in particular price ranges, the task to find a reasonable offering price for a similar home becomes more difficult for buyers. For Squam Lake properties in Holderness, for example, the assessments seem very low compared to the listing prices of Squam properties of $1,500,000 or more offered in the Northern New England Real Estate Network. When there are few similar sales in a period of 2 or more years, the town assessments are often low compared to the listing prices that one will see on the market. What sense is a buyer to make of this? The Sellers have decided on the listing price of their properties and they are not willing to sell their properties anywhere near the town assessments. The cost to build per square foot does not seem to fit in any town assessment calculations. Properties that would cost $400.00 per square foot to build sometimes have the same building value on the assessment as homes that would cost $200.00 per square foot to build. The Cache of Squam Lake Property? 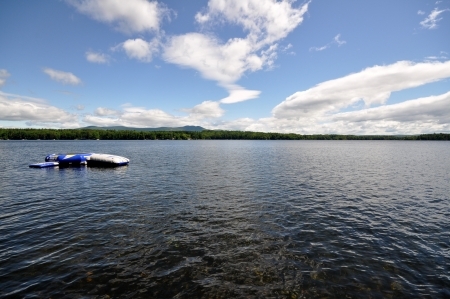 Squam Lake Land for Sale is Almost Impossible to Find. As far as land values on Squam Lake, how can they possibly be quantified? There are only 2 Squam Lake land parcels offered in the Northern New England Real Estate Network Multiple Listing System ( MLS). Only 1 of them has open views and both are offered at $1,300,000 or more. Meredith NH is another Lakes Region town which has seen few sales in the higher price ranges in the past 3 years. 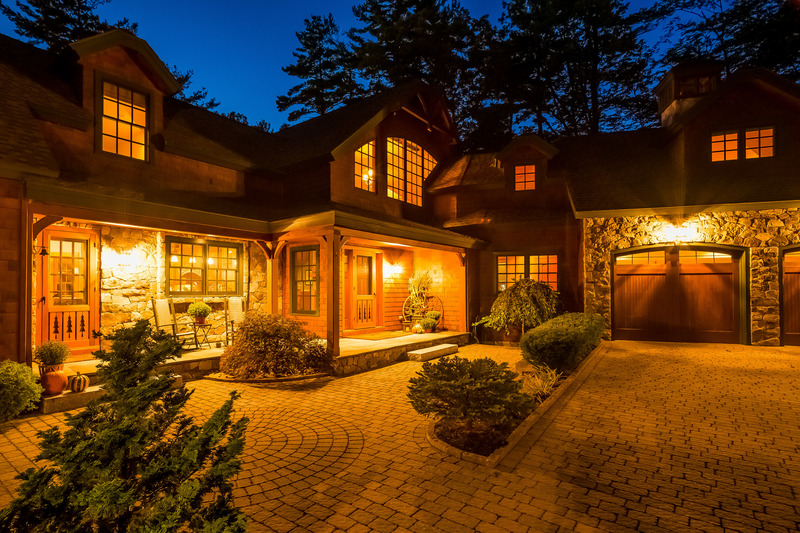 Only 5 Winnipesaukee homes have sold for more than $2,400,000 since January 1, 2009. There are currently 11 Winnipesaukee residential real estate listings in the Northern New England Real Estate Network offered at $2,400,000 or more in the town of Meredith NH. Meanwhile the cost to replace these homes has not gone down at all. Building costs have risen. "Tear-downs" or raw land on Winnipesaukee are extremely difficult to find, particularly in the town of Meredith. 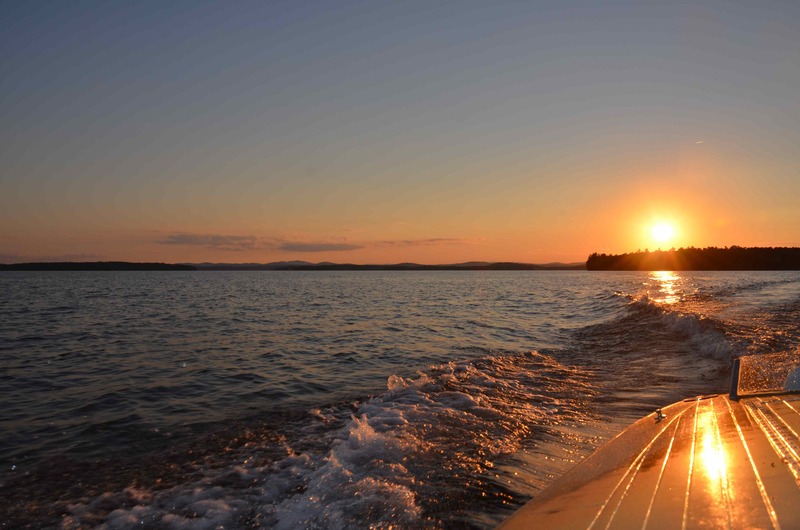 Sellers of Winnipesaukee Meredith homes realize the singular characteristics of their waterfront land and are content to wait for the buyer who will recognize them. Moultonborough, NH is a town which often sees the most waterfront sales in a given year, partly because Moultonborough has far more Winnipesaukee waterfront parcels than any other town. There have been 7 Moultonborough residential Winnipesaukee real estate sales closing at more than $2,400,000 since 01/01/2009. There have been 10 Moultonborough residential Winnipesaukee real estate sales closing at more than $2,000,000 since 01/01/2009. Meredith, NH had 7 homes closing at $2,000,000 or more in this same time period. For Meredith Winnipesaukee residential real estate listings closing between $1,100,000 and $2,000,000 during this same time period, the number dwindles to only 4 homes. In Moultonborough during this time period, January, 1, 2009 to July 21, 2012, the number of sales from $1,100,000 to $2,000,000 was 28. This is an extraordinary difference. Though the inventory in some price ranges continues to increase, bidding wars are more and more common. I've recently represented 2 buyers who were involved in bidding wars for Meredith Winnipesaukee homes priced between $800,000 and $1,300,000. When Meredith real estate in this price range has many of the features buyers want....it moves quickly! 2 Meredith Winnipesaukee residential real estate listings listed at between $1,200,000 and $1,300,000 are now under contract to buyers. Bidding wars on Winnipesaukee real estate in other towns have been occurring throughout the summer. Even in the Price Ranges Where Sales have Been Increasing, Assessments are Not a Formula to Determine Value. 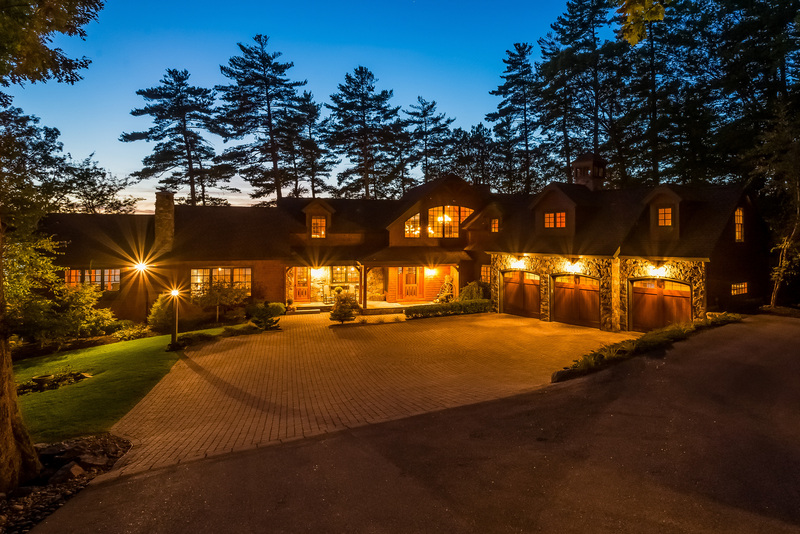 In Moultonborough, though there have been many sales closing between $1,100,000 and $2,000,000 this year, buyers for these properties often still struggle with what reasonable offering prices are on Winnipesaukee real estate listings. Looking at town assessments does not give buyers any sort of formula to use when trying to determine a reasonable offering price. 50 Rocky Winds, Moultonborough is assessed for $1,986,300 and closed for $1,825,000 this Spring. 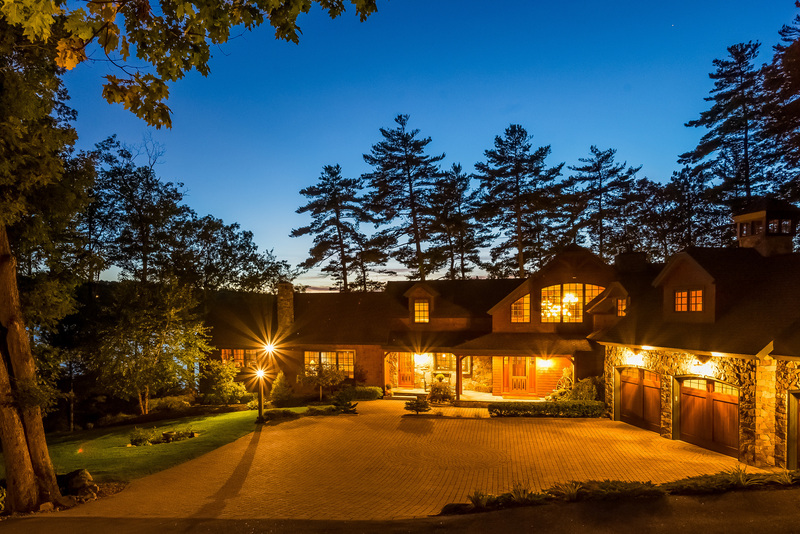 7 Blackey Cove, Moultonborough is assessed for $1,343,100 and closed for $1,140,000. Garnet Point, Moultonborough is assessed for $1,233,800 and closed for $1,335,000. 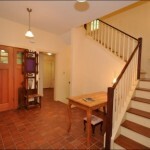 297 Long Point Point is assessed at $1,203,700 and closed for $1,300,000. 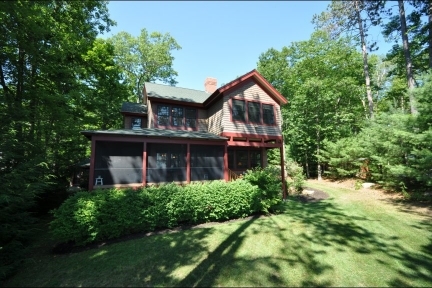 39 Gregson Lane, Moultonborough closed for $1,450,000 and is assessed for $982,800. Following a comparison of the selling prices of recent sold Winnipesaukee homes to town assessments for these properties is a bumpy road to travel at best. Tax card infromation is often inaccurate. The fact that the town of Moultonborough may or may not put any additional value on waterfront of more than 150 ft. on any particular property is another reason Moultonborough assessments are difficult to reconcile with value. Unique Winnipesaukee properties in Moultonborough, and on all of Winnipesaukee and Squam, are the hardest to quantify in dollars. When there are few, if any, "comparable' sales, buyers are moved by the intangibles to try to determine values. Though the task is difficult, nothing worthwhile in life is ever easy. As the poet Rainer Maria Rilke wrote,"Have patience with everything unresolved in your heart."